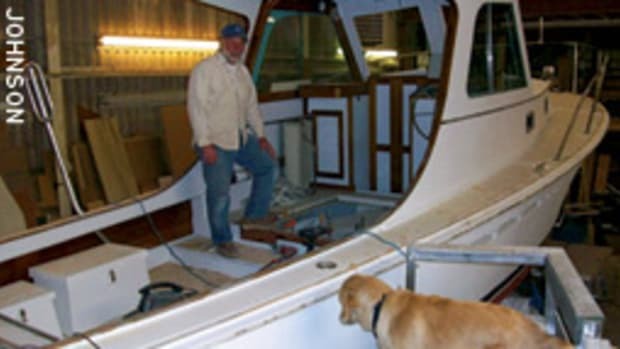 RRR — rescue, resurrect and restore — is a term that boatbuilder Charley Morgan uses when he’s referring to rehabs of down-and-out Morgan sailboats. 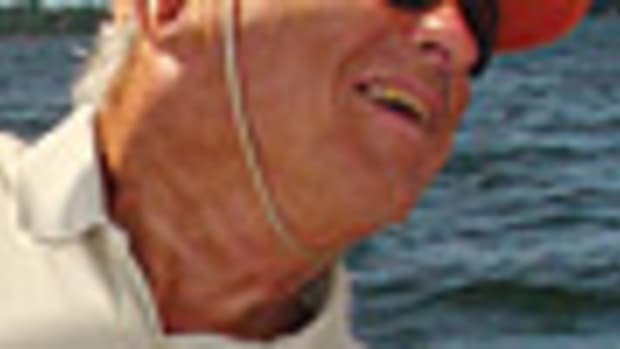 The sturdy, traditional vessels, which he designed and built at his Morgan Yacht Corp. in Florida in the 1960s and ’70s, still lure sailors looking for boatyard bargains (sometimes free) to rejuvenate and fulfill illusory sailing dreams. Not all of these projects are successful. Some turn into never-ending nightmares as determined saviors plug away. Or worse, an owner may run out of steam and money and abandon the effort as a fantasy. But if the money is available and the projects are turned over to professionals who specialize in restorations, the results can be resurrections in the finest sense. When emotions enter the picture, the commitment to breathe life into a boat laden with memories is especially strong. 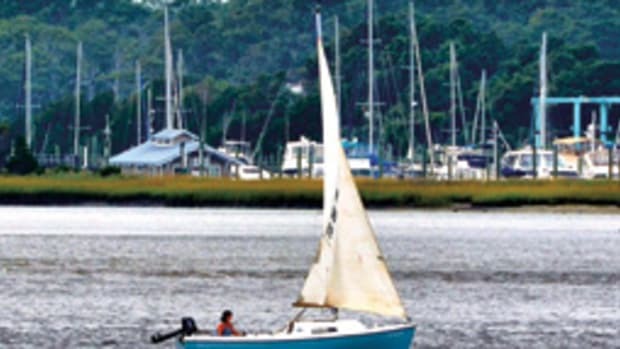 Such a sailboat is a 1967 Morgan 30 that a pro, Tommy Solomon of Edgewater, Md., is meticulously rehabbing and modifying for client Bill Harvey of Latonsville, Md. Why all this interest in these well-built Morgans? There are many admirers of their traditional lines, and class clubs have been formed nationwide. Annual reunions known as “Morgan Invasions” are held in St. Petersburg, Fla. Charley Morgan — 81, retired and living in nearby Treasure Island — has taken up art and painting and speaks at each reunion. Those well-engineered Morgans ran the gamut in the early days of fiberglass — 20-plus models from 22 to 60 feet, including custom designs. 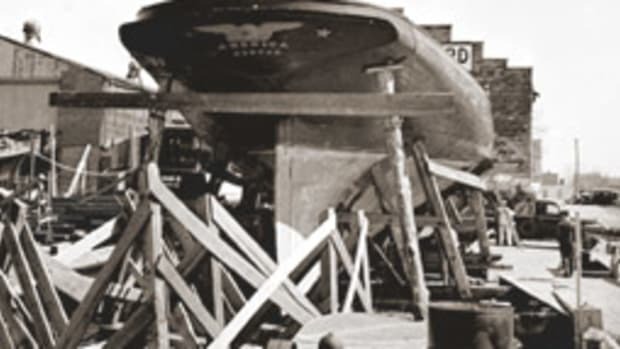 Many hundreds were tested and turned out in production sail-away form, and rehabs wearing the letter “M” on mainsails are frequently spotted. One of the most popular production sailboats in yachting history was Morgan’s Out Island 41, a cumbersome but stiff full-keel, center-cockpit cruiser introduced in 1970. Designed for the island charter trade with a voluminous interior and room for many guests, this beamy, shoal-draft, flush-deck tub was sometimes called the “Out House” 41. A call of “Ready about!” to execute an efficient tack sometimes came after a preemptive call of “Start the engine!” It was not designed as a windward performer and Morgan posted warnings to that effect in his equally voluminous spec and performance manual, which is available online. A thousand 41s were sold and many are still sailing today. Charley Morgan’s successful and legendary career went big-time in 1960 when a wealthy yachtsman ordered a custom 40-foot ocean racer to be designed and built of that new material called fiberglass. 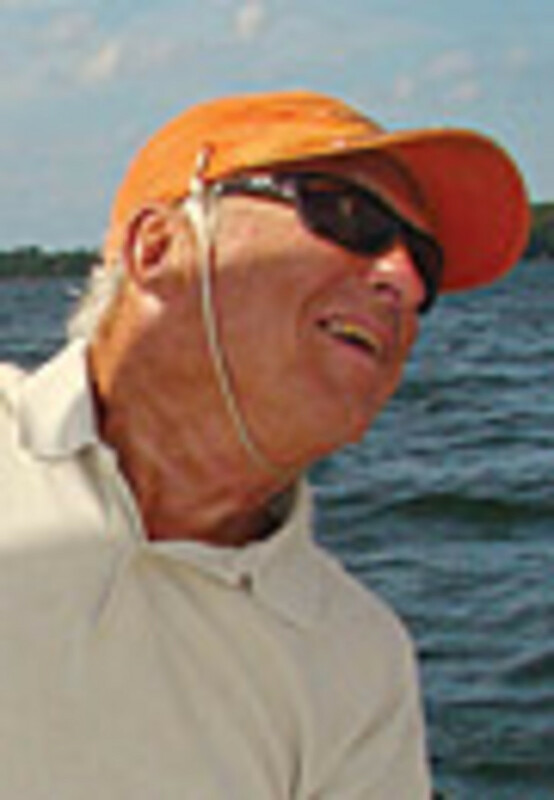 Named Paper Tiger, the swift centerboard yawl won the Southern Ocean Racing Conference in 1961 and 1962 with a huge deck-sweeper of a genoa that reached aft to the cockpit sheet winches. She now sails out of Coral Bay in the U.S. Virgin Islands. Morgan’s notable career had its ups and downs and went as far as challenging for the America’s Cup in 1970. It was the end of the wooden 12 Meter era in Newport, R.I., and his Heritage was bested by Intrepid for the right to defend the Cup. The effort cost Morgan a million bucks. Solomon has had discussions with Morgan about his restoration of Harvey’s 1967 Morgan 30. The sloop is protected from the elements under a work tent at Holiday Point Marina in Edgewater, south of Annapolis. Solomon says his work is about 80 percent completed, and he has compiled more than 1,100 images of the progress, available on his website at www.tommysolomon.com. 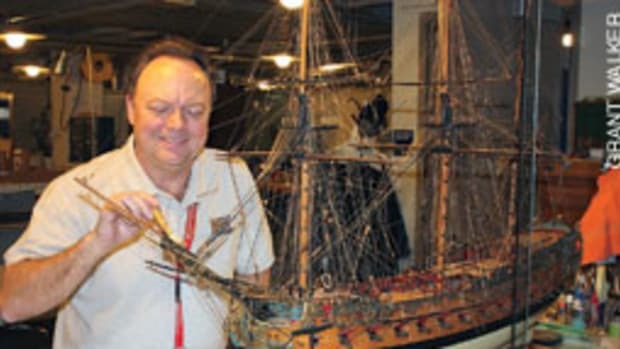 An engineer, Harvey owns the Brandebury Tool Co. of Gaithersburg, Md., which will fit out the vessel with LED lighting and other touches.